Take your wine and wildlife to your next party or bbq with these stunning wine glass charms and you’ll never have to worry about losing your wine glass again. 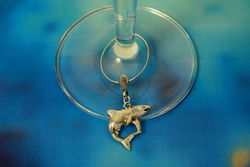 Let this shark circle your wine and keep it safe from those who may mistaking wander into your wines territory. 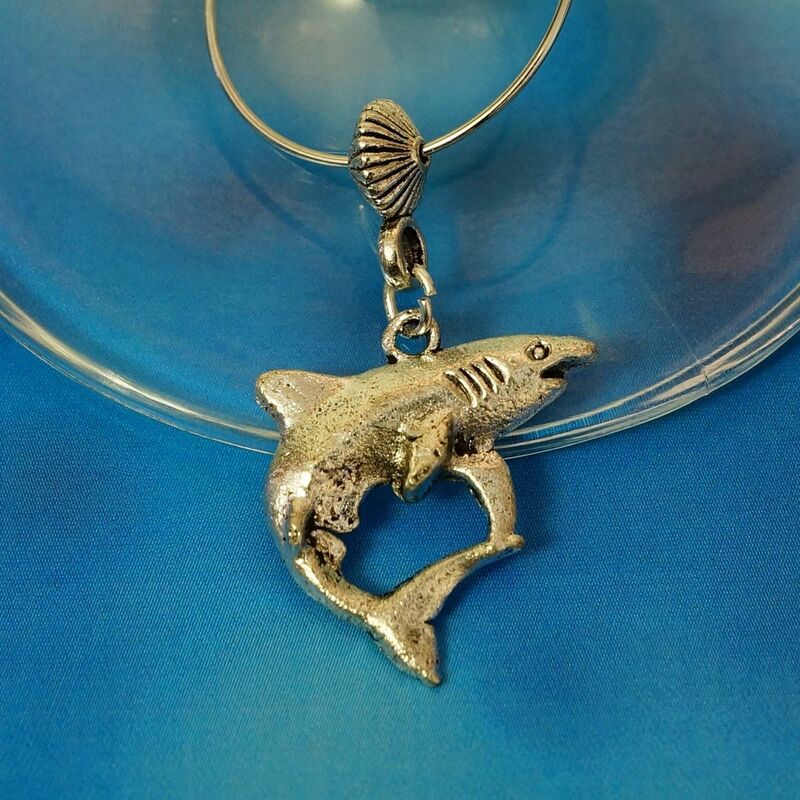 The charm is 23mm L x 3mm W x 23mm H. This shark is made from Tibetan silver and made into this beautiful wine glass charm here in Australia. Around 180 species of sharks occur in Australian waters, of which about 70 are thought to be live primarily in Australian waters. Sharks occur in all habitats around the Australian coast line, however most are found on the continental shelf, primarily on the bottom. However, many sharks are also found in coastal waters and a small number are even found in freshwater systems, such as rivers and estuaries. Not all sharks pose a threat to people and should be respected and admired.